As a social media marketer, it’s obvious that you should invest in the best tools that help you maximize your productivity. But there’s no reason to stick to tools that are only designed specifically for your industry. You can set your work apart from the competition with SEO tools, which are often multipurpose and able to inform many types of marketing efforts. For example, a keyword discovery tool could help you understand which keywords to use in your social media posts for better discoverability. And with an enhanced social media strategy, you could also improve your search rankings and optimize your SEO efforts. Since there are so many great free SEO tools, you don’t have to make a huge investment in something that you’re not certain about. We’ve put together a list of some great free SEO tools that social media marketers can use as well. If you want to be ahead of your competitors, you need to be able to predict the future. The Google Trends tool helps you do just that. About: As the name suggests, this platform helps you keep track of any upcoming trends in your industry so you can get an idea of how public interest in related topics is changing over time. Benefits: Google Trends helps you get a clear idea of how the search volume changes for a variety of search terms and topics. You can even run a comparison of the changes in interest for multiple search terms or topics, which makes it a must-have among the best free SEO tools. 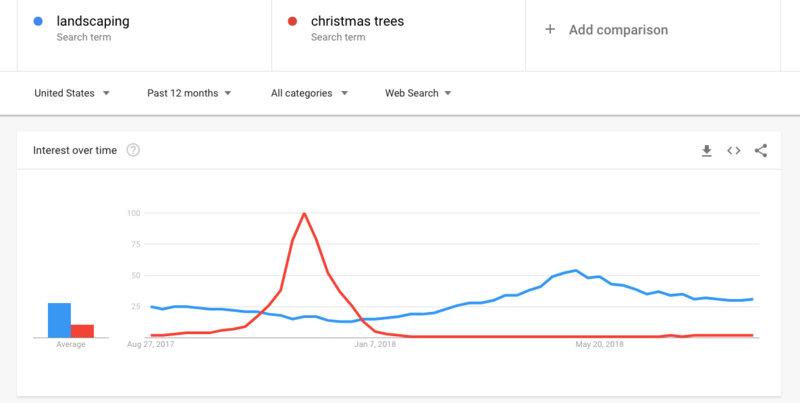 You can get an idea of what the typical year-round search volume might be for a topic, or if there are changes based on seasonality or special events. Highlights: You can also get data on which sub-regions seem to be the most interested in the topic. And you’ll be able to view related topics and queries to better understand what other related terms people are searching for. All of this will help you get a clear idea of what kind of content to create and share on social media to entertain and engage your audience. About: BuzzSumo is a freemium content analytics tool that is a must-have for both your SEO and social media marketing efforts. Benefits: You already know the importance of producing fresh content for your audience. And when that topic is focused on trending topics, you can engage your audience and compel them to share your content with their followers. Here’s where BuzzSumo can help you come up with fresh content ideas that your audience will love. When you run a search for content topics, it’ll provide you with data on the most shared content for that topic, as well as the top trending stories. You can use this information to brainstorm ideas for new blog posts, infographics, video, and more. It’ll help you produce content that’s relevant and current, which your audience will want to consume and share. 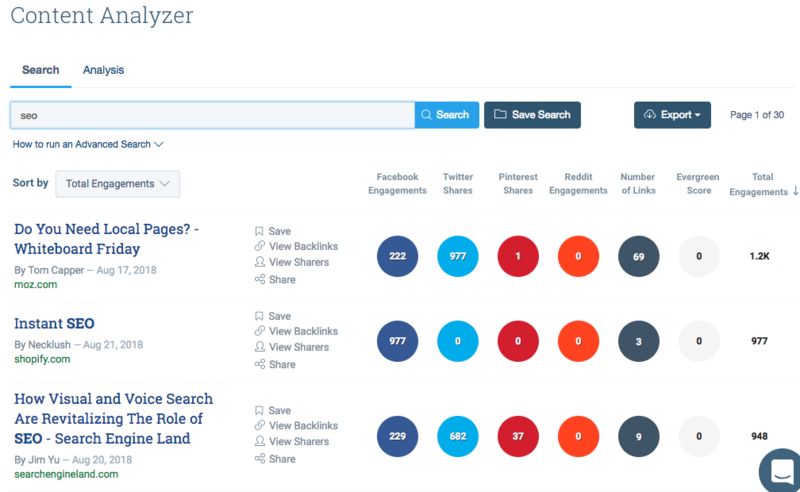 Highlights: BuzzSumo also helps you run a search on the content in your domain and provides you with valuable information on the most popular content you have already produced. You can then consider ways to update this old yet high-performing content – either with new information or in a different format. For instance, you could turn a popular blog post into an infographic or an informational video. That will help you make sure that your content stays relevant and fresh. About: Every aspect of marketing requires a lot of competitor research. SimilarWeb can help you research your competitors and compare your performance and rankings with theirs. It has a freemium model to allow for more advanced features and detailed metrics. Benefits: The tool lets you compare to competitors’ sites on metrics such as traffic and engagement. You can view overall visits, page views per visit, bounce rate, and time on site. This will help you understand just how you fare against your competition when it comes to engaging your audience. Highlights: SimilarWeb also gives you an idea of which sources are generating the most traffic for you and for your competitor, such as social or search. This can help you develop your acquisition strategy and target or improve certain channels. About: The Google Keyword Planner is another handy SEO tool that can benefit many types of digital markers by giving insight into the top keywords on the web. Benefits: This tool helps you discover popular search terms that you can use to optimize your website and social media content. You can conduct a search using a certain relevant term and then discover popular keywords and phrases related to that term. 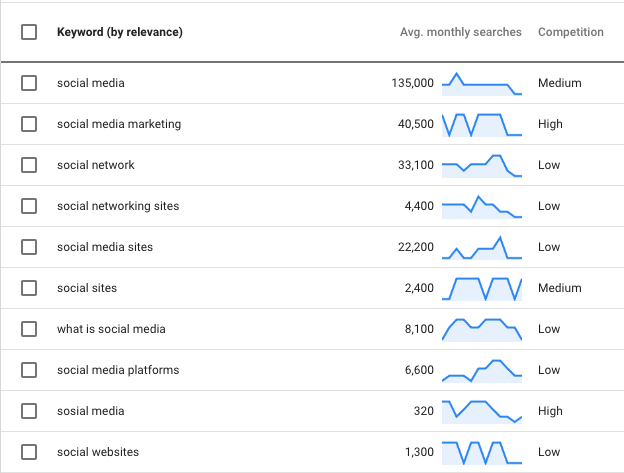 Highlights: Keyword planner gives you an overview of the number of searches conducted each month for each search term. And it also gives you an idea of how tough it will be to rank for the term. Whether you’re planning social or SEO content, this can help you align with what your audiences are looking for. About: The Yoast SEO Plugin makes it easy to optimize WordPress sites for search engines. It allows you to add meta titles, descriptions, index/no-index to pages and other backend settings important for SEO. Benefits: In addition to SEO for blog content, Yoast has a number of settings that make it easy to share posts and pages on social media. You can set metadata to optimize the content you share on each platform, including the type of content, canonical page URL, image and more. This way, you can make sure your content will have an appealing look and a formatted description when it’s translated to social media. You can improve engagement on your content marketing posts and pages using these customization features. Highlights: The plugin also allows you to enable rich content such as Twitter Cards or Facebook and Pinterest Open Graph. 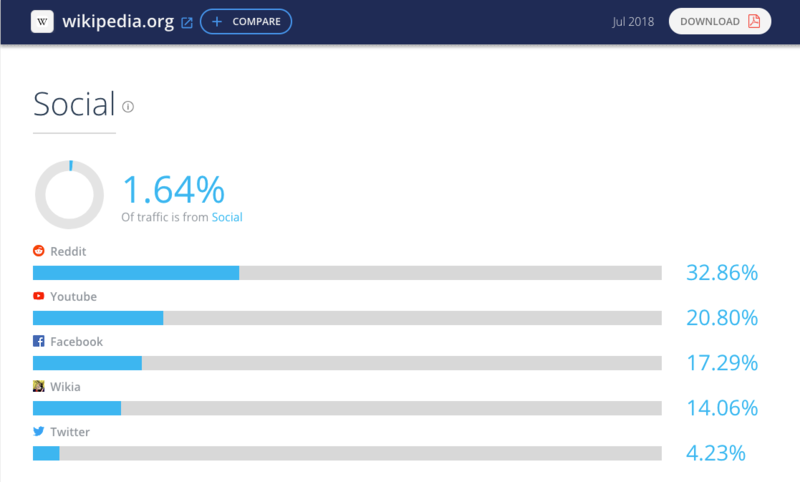 You can even utilize Open Graph for video to optimize the video content you share on Facebook and increase engagement. About: SERP Rank Checker is a free tool to look up your keyword rankings. The downside is you have to check rankings one keyword at a time. But if you run multiple searches, you can export them all into a CSV to keep for your records. Also, it’s a one-time search so if you want to see trends in your rankings over time, you’ll have to re-run your searches manually. But for a free SEO tool, it’s hard to complain. Benefits: Social and SEO don’t have to work in isolation. Your SEO team has specific keywords they’re trying to rank for, and your social team is looking for content to share on Twitter, Facebook and other networks. Using social media to promote articles that aren’t ranking well solves both issues. Highlights: Use social media to share content that targets keywords that might not be ranking as well. It can create link building opportunities and helps your social team fill out their content calendar. Start by running a search on SERP Rank Checker for a keyword one of your articles targets. If your keyword isn’t ranking within the top four or five spots, it’s usually a good choice for promotion. You could choose to promote pages around that keyword with an organic strategy, or even paid channels like Facebook Ads or promoted Tweets. Either way, you’ll be expanding the reach of your page or article so more people can see it and share it – ultimately resulting in more links and better ranking. 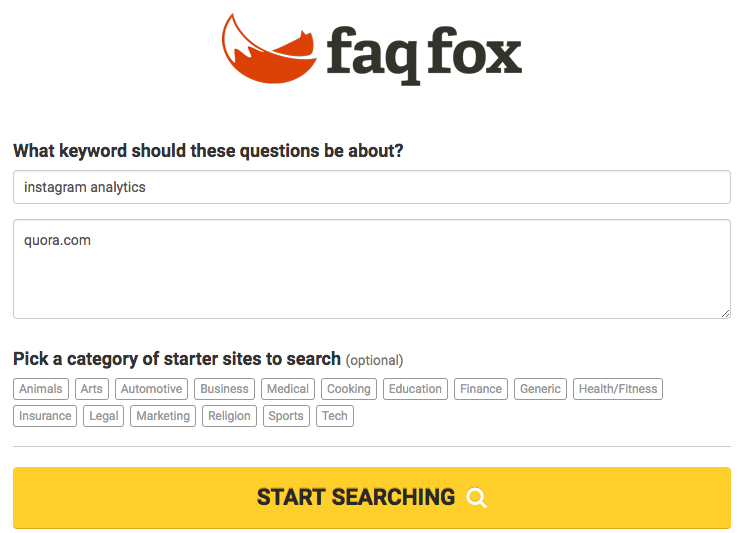 About: FAQ Fox is a handy free SEO tool that scrapes websites for questions based on the keywords you enter. Benefits: SEOs use FAQ Fox to come up with ideas for content. Social media marketers can use it for the exact same purpose. Use the questions you find with FAQ Fox to create YouTube videos or Facebook Live streams that provide the answers. Highlights: Using FAQ Fox is very simple. Start by entering a keyword. Then add the site you want the tool to scrape. It’s best to stick to sites where people ask a lot of questions like forums or Quora. Just like that, you’ll have a huge list of questions you can create social media content for. Are you using SEO tools for your social media marketing? Let us know some of your favorite tools and top strategies in the comments! Elizabeth Arens: Elizabeth is an SEO Strategist at Sprout Social. When she isn't checking out keywords, she can often be found hanging out with her cat.